Manchester United will receive Valencia at Old Trafford on the second match day of the UEFA Champions League group stage. The Red Devils will fight hard to get back to winning ways against the Spanish side. After three winless outings, Jose Mourinho’s job is under high scrutiny. The third season malady seems to have stricken the former Real Madrid boss as things are going in a really negative way for Manchester United. The Red Devils are tenth in the Premier League and were embarrassingly knocked out of the League Cup by Frank Lampard’s Derby County. Valencia will surely pose a difficult test for them, here’s a look at United’s probable line-up for the clash. Manchester United’s best department in recent years has been the defense. But the backline has failed to show up this year. However, one man who continues to save Manchester United’s blushes is David De Gea. The Spain international is once again likely to start the UCL fixture. 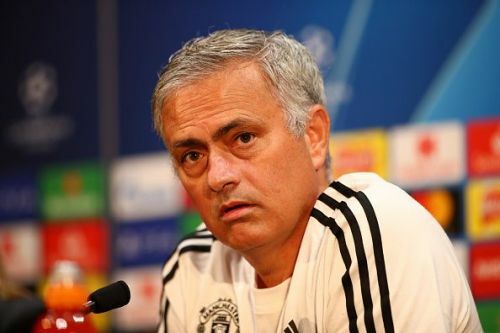 Jose Mourinho is yet to figure out his best center-back pairing. Eric Bailly looks set to get a start after a long while and will probably partner Sweden international Victor Lindelof in the center of the defense. 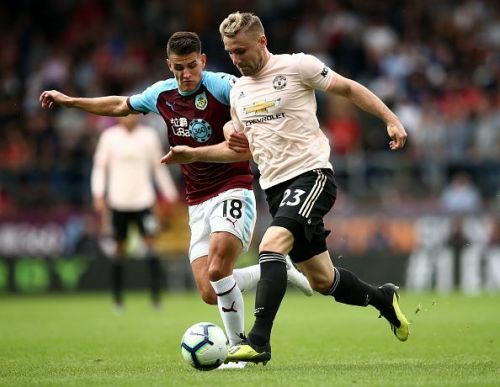 Luke Shaw has possibly cemented his role as the left fullback and will continue his exploits even against Valencia. After playing second fiddle to Ashley Young against West Ham last weekend, Antonio Valencia is also tipped to start against Los Che.